If you're an urban rider in the market to make a serious style statement of the Italian variety and you likes your bikes in steel, the Wilier Ponte Vecchio could be for you. That said, this is Italian style of the full bore, unrestrained variety, Versace rather than Armani so it won't appeal to everybody. Unusually for a piece of Italian style it's very competitively priced too. Wilier is best known for its road bikes but 2012 will be the second year it's touting a 'Weekend' range of more relaxed bikes, which includes two urban-oriented fixed-wheel or singlespeed beasts one of which is the 'classic with a modern twist' Ponte Vecchio. 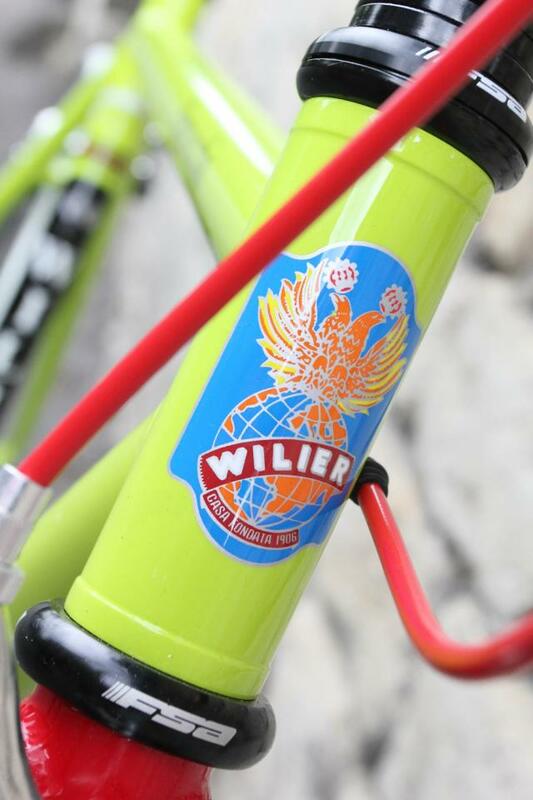 Both of Wilier's fixed/singlespeed offereings are themed around Toni Bevilacqua, an Italian track racer from Wilier's home Veneto region, who was track world champion in the individual pursuit in 1950 and '51 ... on a Wilier, you'd imagine. Look at the decals on the rims and you'll see the dates, plus some world champ stripes. Quite why this model is named after an old bridge in Wilier's original home town, Bassano (if my non-existent Italian serves me correctly, ponte vecchio means 'old bridge'), is anybody's guess. Presumably it's because it's less racy than the Bevilacqua, which has drop bars of a sort - well, Major Taylor bars, more sweep than drop, plus other assorted retro bits, and a quieter paintjob. The Ponte Vecchio is designed, so the company says, for the stylish urban rider. However. Stylish isn't the word I'd use. I found the lime green and bright red jarring, as are the matching red bars and chain. Add white tyres and white grips and the ensemble says dog's dinner... to me although it also had plenty of fans on the road.cc team. It's also got to be said that the Italians like a colourful bike. Let's not mark it down for this, though. You're plenty able to make your own mind up whether you like the styling or not. The frame itself is chunky, the welds pretty neat and the whole thing is quite low-slung. It looks a lot longer than it is high, with a short head tube. The test model was billed as a 53 x 53.5cm (seat tube x top tube) 'Medium' frame, but the seat-tube measurement is taken centre-to-top. Given the seat tube extends a good couple of centimetres above the top tube, this makes the bike more squat than the figures would suggest. Geometry-wise, it's relaxed, with large clearances between the wheels and the frame: all in all, it resembles an old British road/path frame more than anything. That said, the fork is a straight-bladed affair an Eighties innovation - something which good old Toni wouldn't have recognised. The decals are retro-Italian in style, and there's a retro tubing sticker that says 'inodissable'. Apparently, this means it's had some sort of anti rust treatment. The frame is made from CroMo, and is TIG welded in Taiwan. Pretty standard, then, for this sort of bike in this price range. 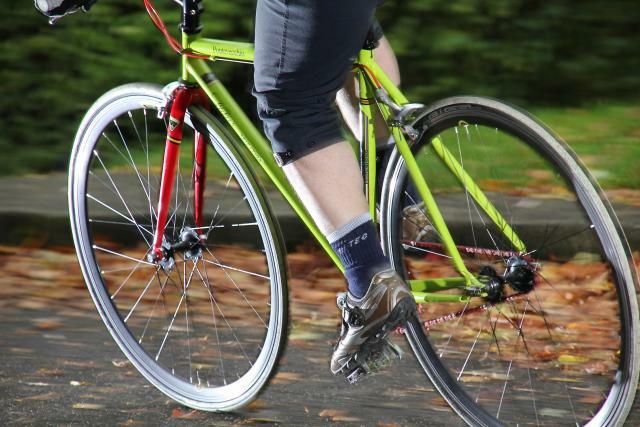 The test model tipped the scales at a nudge over 10Kg, without pedals. That the looks, what about the ride? Even with a fair bit of seatpost sticking out, the position is relaxed. The reach, for me, was just right, and the setup pretty comfortable. Except for the plastic saddle. Yup, that's right, a plastic saddle: a nod to the Cinelli Unicanitor, maybe, but it just looks and feels like a cheap BMX saddle. This was, it has to be said, pretty uncomfortable. For about 20 minutes, things were OK; any more than that, and they weren't. One day, I did about 35 miles, and next day getting on the bike wasn't pretty. OK, it's super easy to swap to a better saddle, but why spec a £575 bike with a plastic saddle? Likewise, the grips seem a bit cheap. Aside from the saddle, the bike is great to ride. 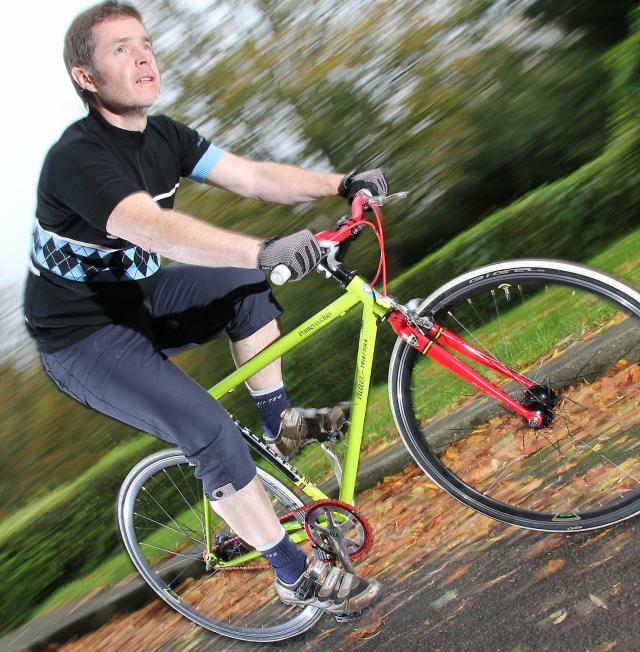 It's not the lightest singlespeed ever, but it's comparable with many other off-the-peg models. Accordingly, acceleration is not super sharp but, once you get it up to speed, it zips along and keeps its momentum. The wheels roll very nicely, and are sturdy enough to take a pothole or two, and the FSA bottom bracket is also very smooth. Both the fixed and singlespeed cogs are 16 tooth (it's a flip-flop hub, so you turn the back wheel over to choose between the two), which, paired with the 42-tooth chainring, give a reasonably quick town gear that is comfortable on small hills. If you live somewhere with fierce inclines, it'd be easy to swap for something more spinny. Around town, the Pontevecchio is very steady and stable, dependable rather than incisive through the corners and you're upright enough to keep an eye on what's going on. The wide bars are comfy, if not great for dodging through small spaces in traffic, and the Tektro brake levers give a reassuring amount of bite, with a nice, old-school action. All in all, it's a good bike, which is let down a bit by some odd choices - that saddle, and for me at least the colour scheme. Price-wise, I was expecting a premium for the Italian name, but place it up against the other quality branded 2012 singlespeeds currently in the shops and it actually looks rather competitive - though doubtless there'll be cheaper options later. However, if you like the idea of buying a singlespeed Wilier, the sportier Toni Bevilacqua looks, in my eyes, a better bet. For £25 quid more, you get a sharper retro look, a nicer colour scheme, shiny silver componentry (albeit with a quill stem rather than A-head, as here) and what looks to be exactly the same frame. 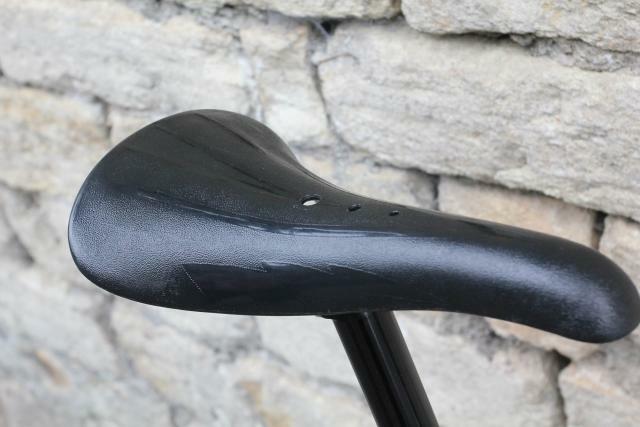 The faux-Brooks sprung saddle would be worth the extra dosh on its own. "A stylish, quality town singlespeed." Well finished, certainly comparable with other similar level SS or fixed frames. Nice and dependable. Not a racehorse, but not meant to be. It's not a performance machine. It felt good to ride, comfy, but it's not going to win prizes for stiffness and power transfer. Doesn't have a great turn of speed. Didn't really get up to high speeds, but it's well planted on the road. I'd thought it was on the expensive side, first off, but look at quality singlespeeds (not your Creates and the like), and it's competitive. very poor form road.c.c - your own rider without a helmet! He probably couldn't find one to match. 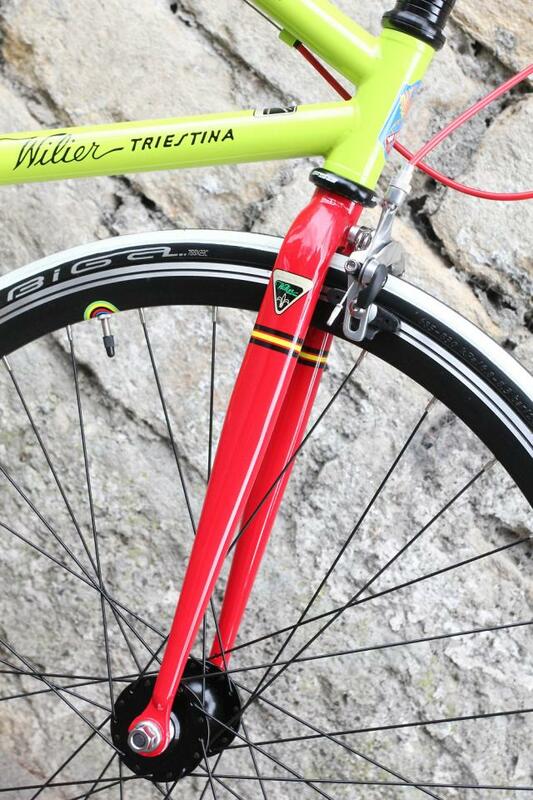 I'm a fan of Wilier but I can't decide if I like the colour scheme or not. That's cos generally I don't wear one spindoctore and it's not my job to tell other people to wear them either. My feeling is that road.cc users are quite capable of making their own minds up as to whether the riding conditions, weather, or whatever means they would feel safer wearing a helmet. er fair play for your determination to protect your personal freedom but how can you *predict* when you're going to need one? I wont be riding again until March at the earliest with the agreement of the consultant who operated, and I've been off the bike since August bank holiday when it happened. Conditions were excellent, didn't prevent me having one hell of a crash though, and believe me I had long enough as I hit the road at 25mph to thank God I had a helmet on. Oh God, not a helmet debate! Let's not, eh. go to a helmet story if you want to discuss helmets. "A tyranny exercised for the good of its victims may be the most oppressive. It would be better to live under robber barons than omnipotent moral busybodies. "The robber baron's cruelty may sometimes sleep; his cupidity may at some point be satiated; but those who torment us for our own good will torment us without end, for they do so with the approval of their conscience"
Wear a helmet comment - take it somewhere else. The only thing I can think of off the top of my mind that matches is the new Yodel Sprints jersey at this year's Tour of Britain. That's what I love about this website - only on road.cc would someone bleating about helmet use be met with a CS Lewis quote! Keep up the good work, guys! Oh my word. if they had given it a matching fork and silver chain this bike might have looked half decent. Instead it looks like every other disgusting 'fixie' that's coming from Europe....orbea, cinelli etc. ( apart from those new alu bianchis) it pains me to say it but i would rather have a langster or even worse a Charge! This bike looks (and weighs) like a Unipak / Create / NoLogo abomination with components that are hardly any better. 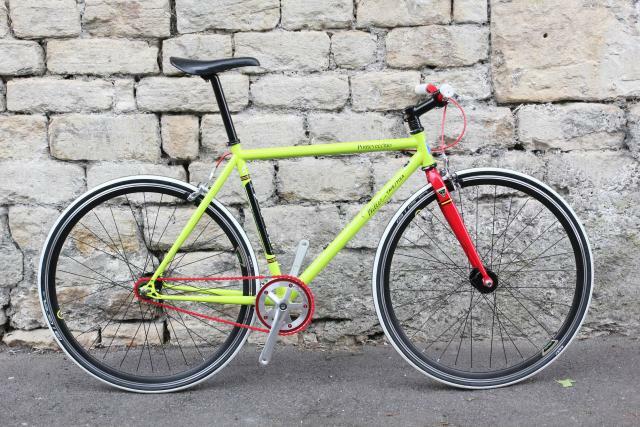 There are much better CroMo singlespeed street bikes out there for less money. Lets the brand down.